Yes, you read that right. 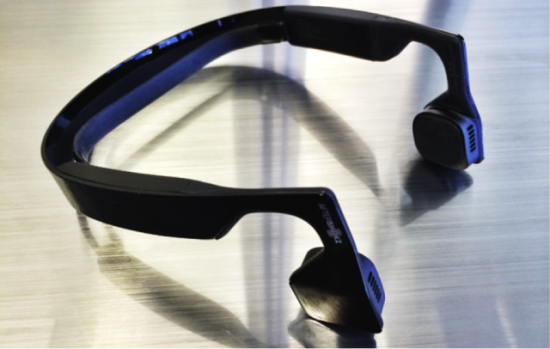 The Aftershokz Bluez 2 headphone system does not actually go in, or around, your ears, the buds instead lay right in front of your ear canals and transmit sound through your cheekbones, completely bypassing your ear drums, and delivering sound directly into your inner ear. Sounds crazy, right? Well, in all actuality, bone-conducting headphones have been around for awhile, it’s just that they have never really caught on. It’s definitely not your typical set of headphones, that’s for sure, but there can be some advantages to this style of sound delivery. The main one being, quite frankly, that you don’t have your ears completely covered or plugged and that allows for the user to be much more aware of their surroundings. Perfect for those with an active lifestyle who use them for running and working out. Also for the parent who wants to listen to the music they like but still needs to be able to listen out for their children. More about the headphones themselves; they are wraparound, Bluetooth-enabled headphones that you can talk through, in addition to playing music through them. The Bluez 2 are a good looking set of headphones. While wraparound is not currently “in style,” the Bluez 2 look right at home on users’ heads. The volume buttons and micro USB port are inconspicuous and located on the underside of the units, and are unseen from the side view. The one visible button is the rather large multifunction button located on one of the earpieces. It’s used to stop and start the music and used to hang up phone calls. The button honestly just feels out of place, when looking at the overall unit, but it is a minor gripe. 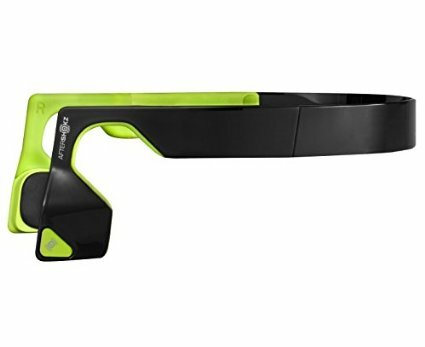 The Aftershokz Bluez 2 come in at $99, which is a little on the pricey side, but if you have been looking for something different out of the headphone market, then you have definitely found it.